HomeBetting ExchangesAre betting exchange tips any good and why do they give them to you? When I lived in New York way back in 2000 and 2001, it was above a bar on 74th and 2nd Avenue in a classic Friends/Seinfeld looking building. It was a great place to live, but more importantly the Irish bar named (obviously) Paddy’s below was typical Americana. For a Brit Stateside, it’s nice to immerse oneself in a culture that you wouldn’t normally be part of. So I’d find myself of a weekend and Monday evening watching NFL or American Football or whatever you want to call it with my flatmates, or room mates or roomies. 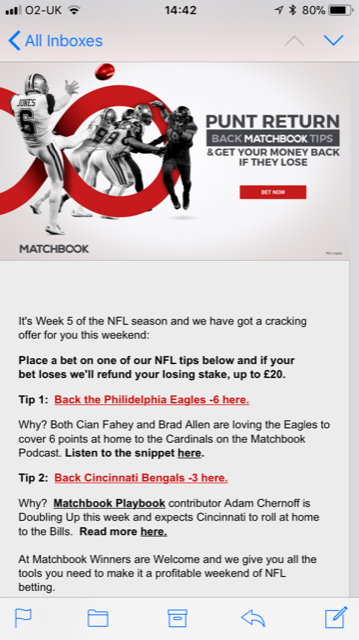 But I digress, I mention it because over the weekend I got an email from the betting exchange Matchbook with some tips for the weekend’s NFL games. And that’s what I needed in America, betting tips. I find it makes watching a sport you don’t really understand more fun. There were two tips and a little offer saying that I could pick one and that if it lost I could have my stake back, up to £20 anyway. Fair enough, that’s a no lose bet really. Obviously my first through was here’s an arb opportunity for some matched betting. Quick scan of the other betting exchanges did not show a corresponding market, but like, whatever, matched betting is fine, but let’s be honest, a bit dull. The bet suggestions were for fairly specific handicaps. Because the yanks like to bet on the spread. Not spread bet, that’s just for Brits. Sports spread betting is not for Americans because it’s regulated by the FCA, and the American’s don’t let their citizens have accounts with FCA regulated businesses. It’s part of their freedom that they are only allowed to do what the government tells them, or at the very least they can do it if it’s regulated in the US and they are getting a piece of the action. But they won’t regulated gambling, or will they? 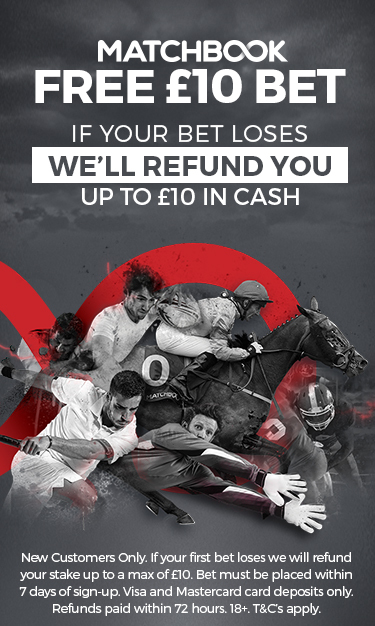 But why do betting exchanges give you betting tips and normal bookies don’t? 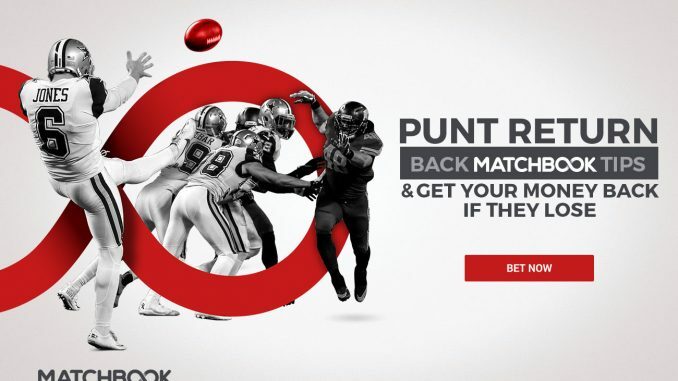 Quite simple really, bookies make their money when you lose money so it would be a massive conflict of interest if they were to suggest bets for them to offer betting tips. 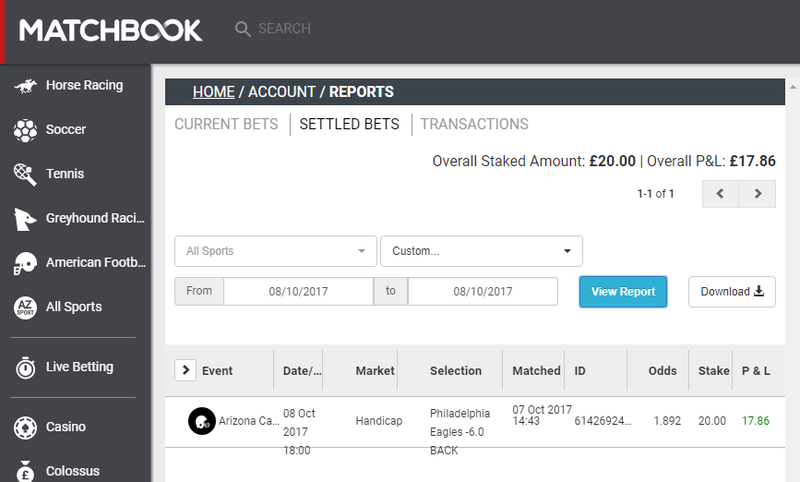 I’ve been using Matchbook a bit for trading through Stratabet, which if you’ve not tried it is a pretty slick sports trading platform where you can execute bets on exchange through their site. They also provide daily betting tips from their analysts on football, or soccer or whatever you want to call it. So I had some money in my account Matchbook account to bet with.